The eastern approach of the underpass on Great Eastern Highway has recently received an upgrade as part of the Department of Transport’s Safe Active Streets Program by the City of Belmont. 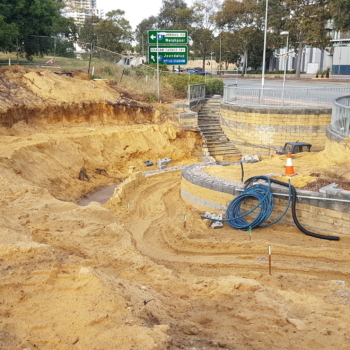 Porter Consulting Engineers undertook the design and construction administration for the boulevard which links Leach Highway to Great eastern Highway via Tomato Lake and Surrey Road. 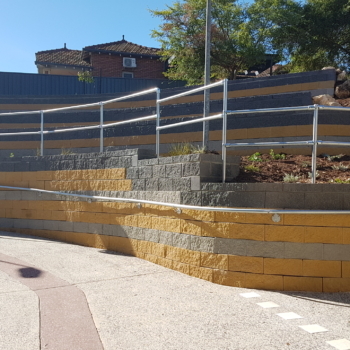 Our engagement included preparation of detailed design for the underpass upgrade including siteworks, services location, retaining walls, paths and stairs. We also engaged sub-consultant Ecoscape to undertake the landscape design component. The City installed a bicycle maintenance station at the top of the ramp to provide service facilities for cyclists. 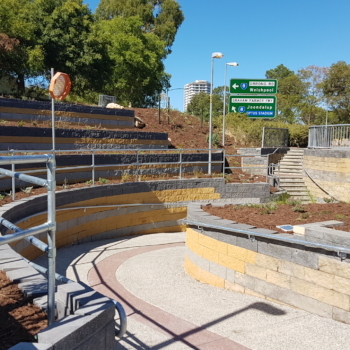 Our Practice undertook the contract administration of the bike boulevard project which commenced in mid-September and was completed in January 2019. This upgrade to the existing infrastructure provides an improved access for cyclists and pedestrians as well as an aesthetic improvement to the local area.